Imagine, if you will, it is a lazy, hot Sunday afternoon and you're passing the time in a library. Perusing the classics section, you wander about aimlessly, reading off authors and titles as you amble by their dusty hard-bound covers. Every once and awhile you pull one off the shelf you've never heard of or seen and flip through the pages, only to put it back. You leave and weeks go by. You remember one of the novels from the library but not the title or the author. But it piques your interest none-the-less until you can't help but do an exhaustive search to find it that involves far too much time at the computer and a few too many cups of coffee. Nose of honey, fresh Red Delicious apple, some heat, oak is present in the background. Bit of peach. It smells overwhelming like a trip to an apple orchard on an early fall morning. Slight spice and woodiness from the oak coupled with a fresh-plucked apple smell. But...y'know...in grape form. Taste is wildflower honey with a buttery aftertaste. Apple from the nose comes through as well. Oak is less pronounced in the taste than in the nose but it still has a touch of woody spice. Smooth and a bit on the drier side but remarkably approachable for someone that typically prefers sweet wines. Not a bad value. There you have it. I've tangled with the mythic beast that is Robert Mondavi wines. A decent cup, to be truthful with you. A fair price and a nice wine, if a bit thin and a touch hot on the nose. 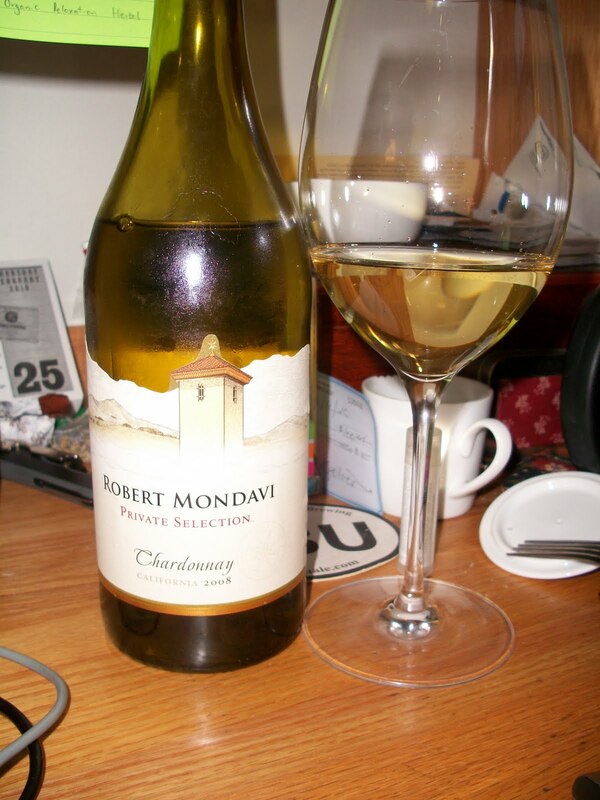 One day maybe I'll be filthy, stupid, crazy rich enough to try his other wines but until then, Mr. Mondavi, your other wines are too rich for my blood. Sorry chief. In other news, I'm waiting to hear back from the Whisky Live people (from Whisky Magazine) as to the status of a press pass to their WhiskyLive New York program. Here's hoping I get in. If you're reading this WhiskyLive people, I promise that I will be clean-shaven and an excellent representation of professionalism and tact. I will wear my cleanest tuxedo t-shirt. There's a small mustard stain under the bow-tie but if the light's low enough it should just blend in. I like your writing style Scott. Literary, descriptive and entertaining.